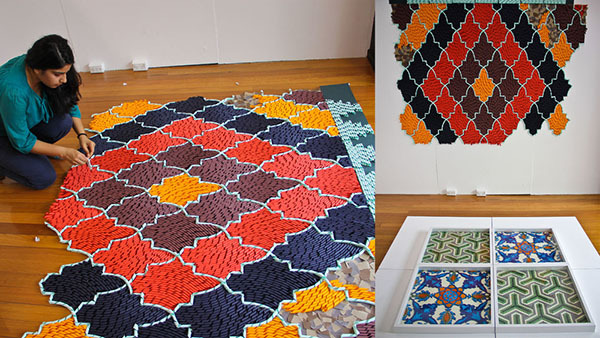 I recently came across the stunning paper tapestry work by Gunjan Aylawadi and instantly became intrigued by the use of simple material that is used to create the carpet installations. 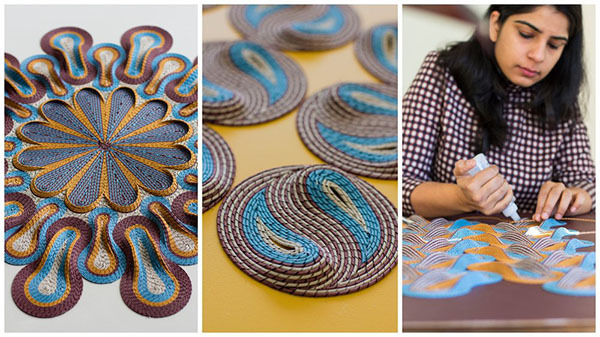 While we live in an era where visual stimulation surrounds us, its strikingly powerful to come across a practise that is hand crafted. 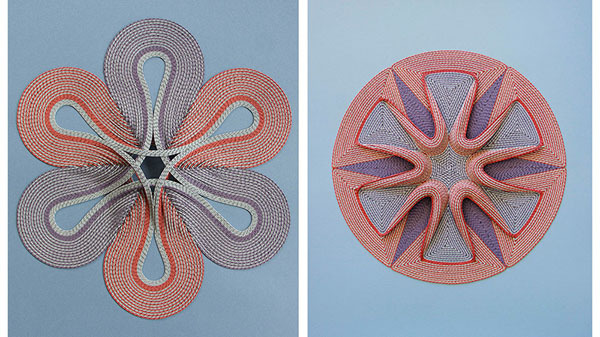 The unique hand crafted style involves manually cutting thousands of delicate stripes of paper and twisting them tightly around a thin wire to get paper curls. 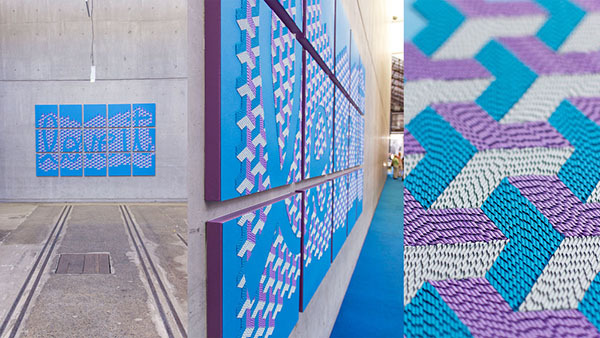 The curls are then glued onto a drawn template allowing the paper curls to merge in with each other, creating a paper tapestry of a thousand connections. The weaving and layering design is part inspired by geometry, architecture and arabesque patters fro m Gunjan’s native India.